A couple years ago (on January 1, 2015) I responded in the comments section of an article posted by an old-earth geologist named Dr. Jonathan Baker, who is very passionate to show that young-earth creationist claims are contrary to the real evidence. The article was entitled: “Is folded sedimentary rock evidence for a young earth?” It was a good discussion, and I appreciate the cordiality Mr. Baker showed. (Though I wish more cordiality could have been shown to Andrew Snelling, who appears to be Baker’s favorite punching bag!). I am not a geologist, nor am I a chemist. So I am not the best person to fight on this issue, not on the most advanced technical side of things. But nonetheless, I gave this my fairest shot, and I think some good information came to light in the end, you be the judge. 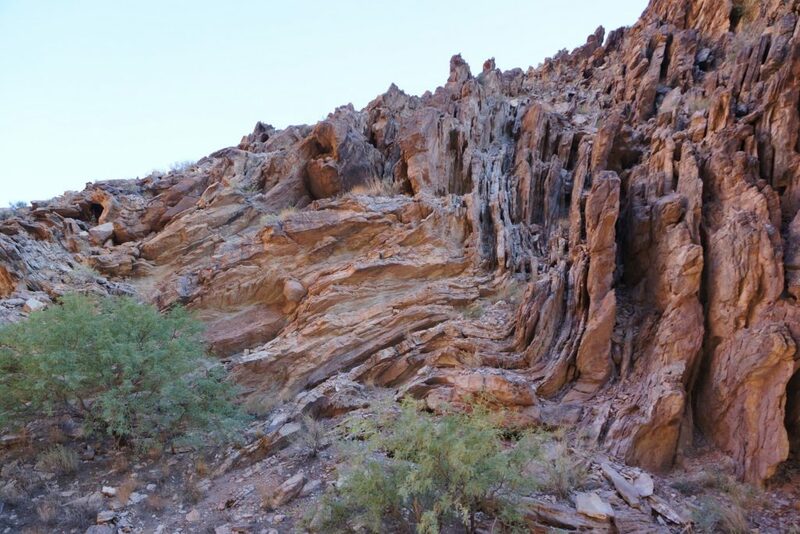 This issue of folded sedimentary rock layers is a potentially game-changing evidence in favor of the young-earth, flood based view of earth history. And recently, as many of you may have heard, Snelling has actually been trying to get rock samples from the Grand Canyon to further research on this question (I hope from those Tapeats Sandstone folds)! That even as Dr. Baker and others derided Snelling in his article for not giving good enough pictures of folds and the like, which I thought was a weak criticism. Greetings Mr. Baker / Greetings Jonathan. Pardon my lengthy response, I should probably make this into a stand alone article on a blog of my own. Even so, if you don’t mind, I’ve split this response into 4 parts. Thanks for the compliment. My name is Nicholas Petersen. You can read a little more about me here, and though I’m currently transferring this next site, also here. 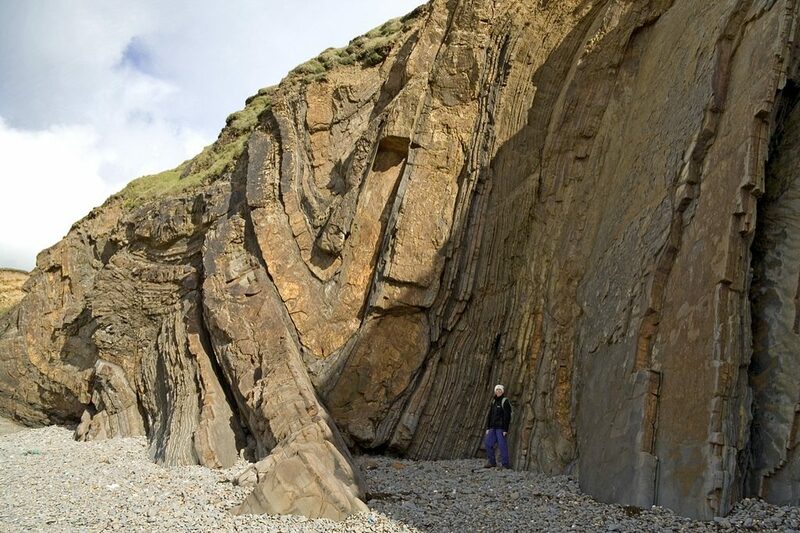 Earthwatcher – Syncline at Wrangle Point, Crooklets, near Bude. Originally uploaded for the Guesswhere UK group. Perhaps we should be more specific in some cases. However, I think you are getting some chronology out of order, as if we all had your own theory in mind which depends on these tiny cracks. 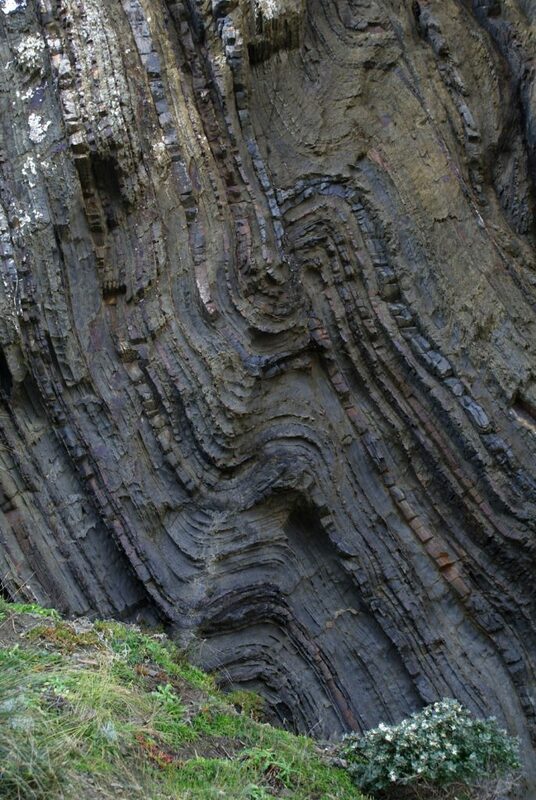 And besides, I have seen many pictures of such radical folds (in anticlines, synclines, chevron folds, ‘crazy-clines’ — as some people were calling the Split Mountain fold!) where there was little to no apparent evidence of significant fractures. So in many cases, I still think it is correct to speak of ‘no fractures.’ And yet you seem to be hoping in all of these cases to find an abundant number of small cracks to do all of the work. That is fine, but you shouldn’t scold others because they haven’t done all the field work to support your own theory. When these creationists have spoken of ‘no fractures,’ it is plain and evident that they were referring to fractures that match the severity of the folding we see, which would thus be very extreme fractures! So again: you yourself are now bringing in your own hypothesis that makes much ado about even microscopic cracks, while at the same time scolding and even impugning creationists who have spoken of ‘no fractures,’ as if they should have in retrospect addressed your own theory. I suspect you did this unconsciously, but it’s an illogical expectation nonetheless. First, I have just analysed many such radical folds like this, and in almost every case, even when dealing with high-definition photographs (there are some great galleries on flikr for instance), it still would be helpful to have even more detail up close on certain areas (and beyond that of course, to simply visit there in the field). Second, in many (not all, but many) of these cases, I see little evidence of the kinds of cracks you are hoping for, unless you are talking microscopic. Ultimately, we would fully agree with you that it would be good to have in-depth research on many specific case-examples. 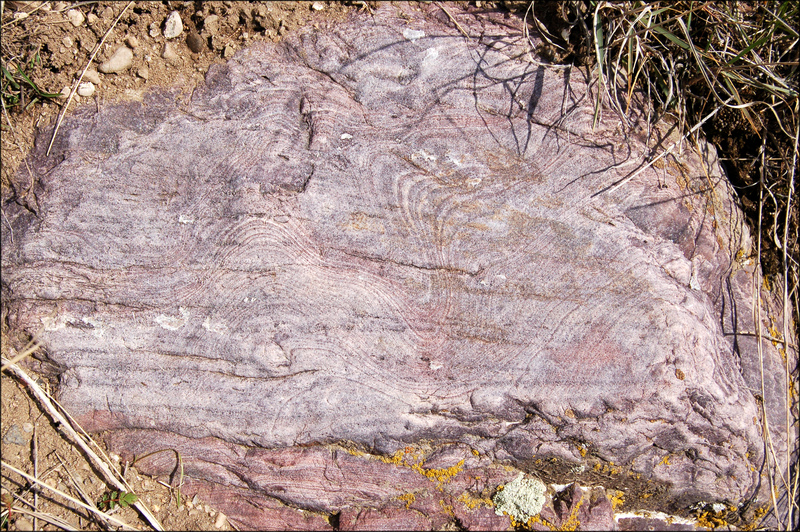 Third, I would bet Andrew Snelling would be thrilled to have the time to do an in-depth research on, for instance, these folds in the Tapeats Sandstone. [NP update: How funny, little did I know Snelling had been trying to do such research for 2 years already when I wrote this, and that the uniformitarian gate-keepers in the geology community were keeping him from even getting access to such samples…] The evidence from this is markedly in our favor. The Snelling article you were referring to was part of their layman magazine I believe, and I would bet the pictures posted there were more a matter of magazine web team editorial decisions. Frivolous accusations like this do not encourage further dialogue. Even so, I appreciate honest challenges, especially from intelligent geologists such as yourself. As an aside Jonathan, reading your about page, I can’t help but thinking you missed the road. You say your first geology book was Steve Austin’s Grand Canyon book, I have that as well and it is excellent. But I wonder how much fellowship you had with those with like Christian/biblical convictions? You certainly didn’t train with some of these biblical geologists that you now seem to mock so often. It’s no surprise to me that after going to a school that is entrenched in evolutionary thinking (both geological as well as biological), after enduring that for some years you finally abandoned your biblical view of earth history. Few make it through such a gauntlet. I would be curious though if you truly held strong convictions beforehand. I’m not insinuating you didn’t, it’s an honest question. Surely you could give 5 examples, right off the top of your head, for reasons that fractures or cracks form in all kinds of materials. They can form during the formation process itself in fact (rapidly in our case), and through many other means. Put simply, most rocks have cracks. 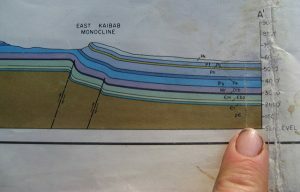 With regard to your picture here [see insert], first of all, the pinching and thinning of strata as they fold, as that graphic shows (and as many real examples show) where at the tightest angle they thin out extremely thin compared to their original depth, is powerful testimony to these layers having been in a ductile and fluid state, which shows they were unlithified. That at these folds many minor cracks or fractures form is probably to be expected in our scenario as well. I’m not a geologist, but for instance, I can imagine earth movement in the following thousands of years probably paying more of a toll, in terms of causing cracks and minor fractures, in tightly folded areas, since the strata layers are closer bunched up and hitting one another during earthquakes, as opposed to more open horizontal flat stretches. While I appreciate your response at this point, I am afraid you may be missing my point: Rocks and strata of the earth of course get beaten up and tortured (there’s a good Tolkien riddle about this), the question is: Can lithified strata act like they are fluid and bend into incredible arcs and hair pin structures without busting at those tight flex points? I do appreciate the Lulworth site and pictures. And yet I am afraid we are seeing those pictures wearing two different sets of glasses. 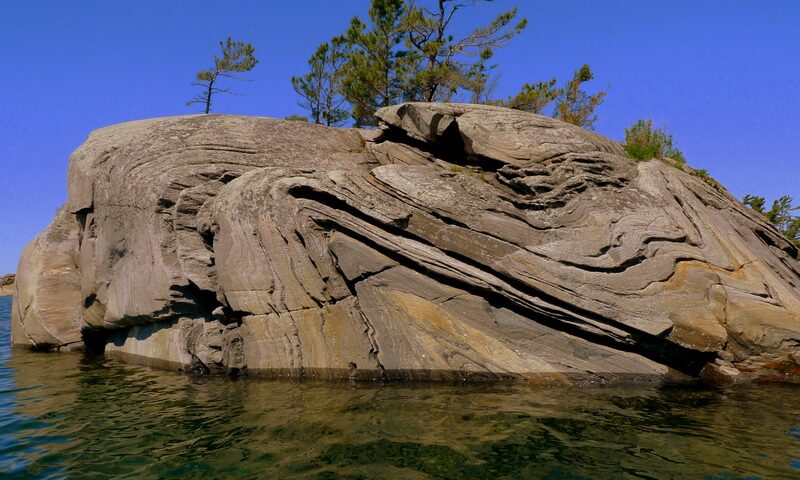 You are trying to find minor evidences of fractures, while I am seeing a thick sequence of strata that are tightly folded every which way, and in ways that are unexplainable in my view, other than that they were non-lithified at the time of deformation. Ironically, the more I have looked into this, I have found the smaller scale fluid features to be even harder to explain with your standard view, as it is hard to see how a major fault could induce small scale fluid features like we see. Dr. Baker had a cordial reply, which I will not repeat because you can read it fully here. Of course the evolutionary view you adhere to would sink without this assumption of super slow and super gradual mountain uplift (orogeny), which occurred very recently, respectively, in your model, and correspondingly late in the flood in ours. This gets into a different topic, but I find it incredible to look at upturned formations like this massive 90 degree vertical upturn of the Tapeats sandstone (a drape fold, another evidence of fluidity it seems to me) and layers above to represent some incredibly slow and gradual tectonic process! 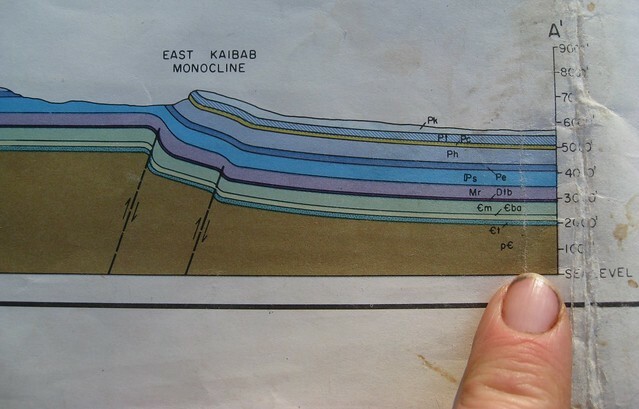 I understand that this was part of the uplift of the Colorado plateau, and more locally in this case to the East Kaibab Monocline. Even if we were going to have this overall uplift occur slowly, I still cannot see how the energy releases would not come in bursts of tectonic energy, just like they do in earthquakes and fault slips today (stress builds over time due to friction at the fault; slippage occurs when the stress builds enough to finally overcome the friction, but by then you have an excess amount of energy that releases). 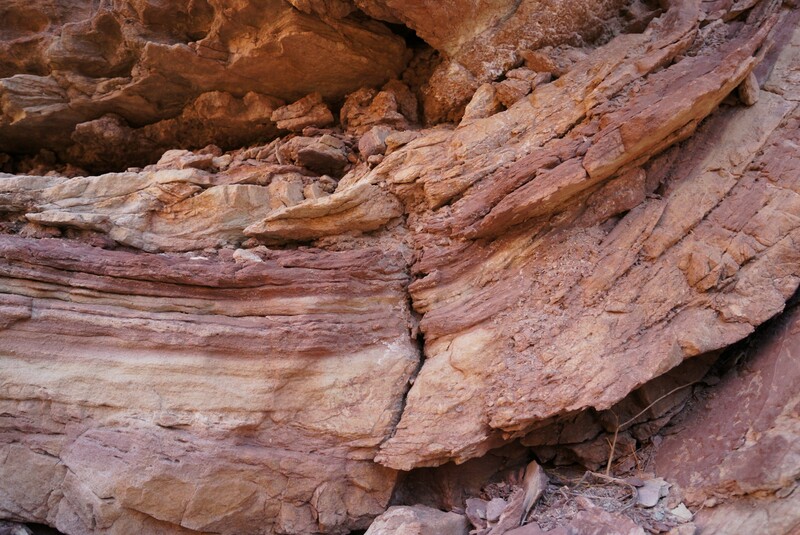 Tim Helble,72 – Crack at sharp fold (source) — NP: Note: here’s a crack / fracture. Wouldn’t we expect some fractures over time? The question is: How could these folds form without turning the whole structure *into powder*? And how could thickening and thinning occur if these were already solid-rock (lithified)? About your theory, I am not a geologist, and experts in a given field of study are the ones equipped to provide such feedback. With that said, with the amount of ‘de-cementing’ you are calling for, all driven by water flow, it seems to me that the biggest outcome would simply be eroded structures. Which, by the way, is a massive problem for you guys (also). Regardless, let’s just assume you might be able to solve some formations this way, I seriously doubt this can apply to the extreme cases we have. Neither does this address the many features we see that look like the strata were quite fluid in nature. 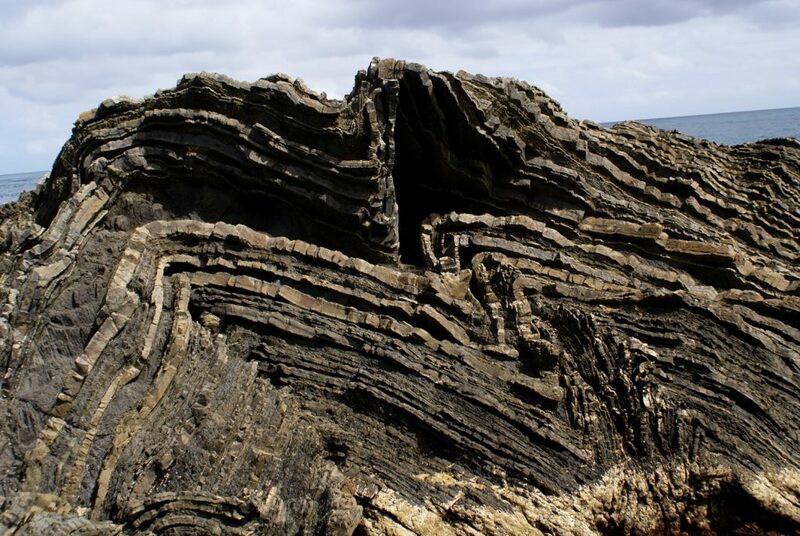 For instance, how do strata pinch and squeeze like toothpaste in many cases, becoming multiple times thicker at the folds at one point, and pinching out very narrowly at an opposite point (where multiple strata do the same one on top of the other)? For your theory to work, you are going to need to essentially make the strata quite thoroughly unlithified in the end. 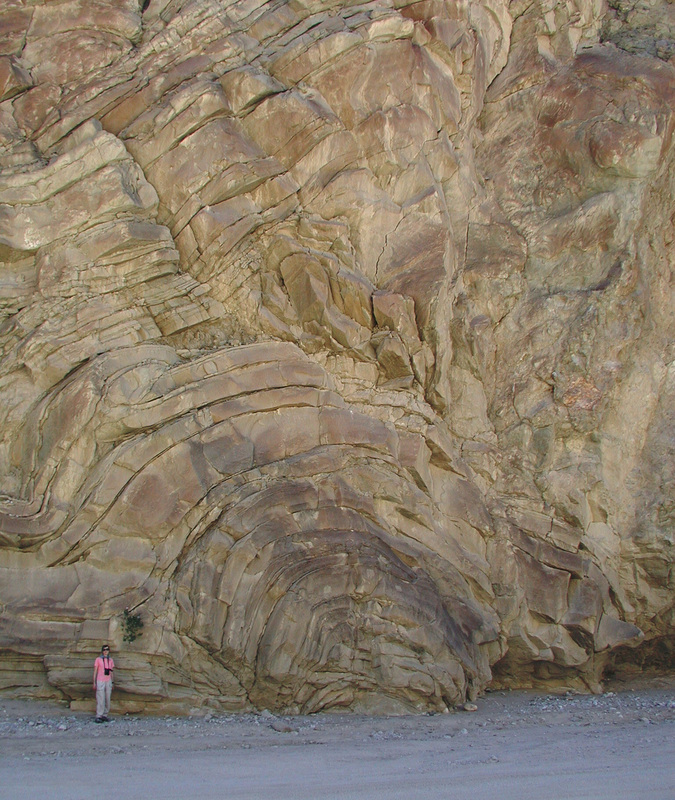 Also, I have seen many incredibly exquisite features that simply are impossible to be explained by a large scale fault causing folding. Can you write a letter (on 8×11 paper) with a pen whose head is 100 meters across? So too, can you cause exquisite flow features only meters or even inches across in multiple subsequent strata layers, with a fault that is miles long and that is located miles below? The obvious answer is no, whereas the features make perfect sense if these strata were plastic and fluid in nature at the time of tectonic upheaval. Layer after layer will cut on a dime, either at 90 degree angles, or in very sharp but still rounded turns. 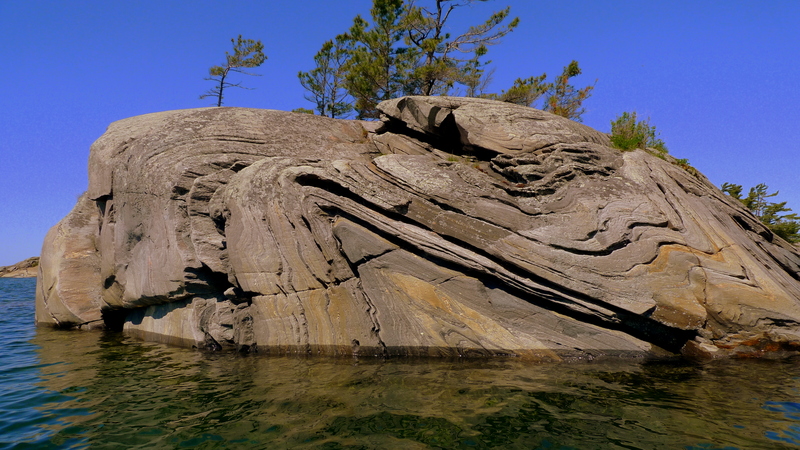 Other times multiple layers will all have ‘vibrations’ in them (that link from Parry Sound Ontario is one of my favourites [see now immediately above], go in high detail and look closely at all kinds of exquisite flow features).